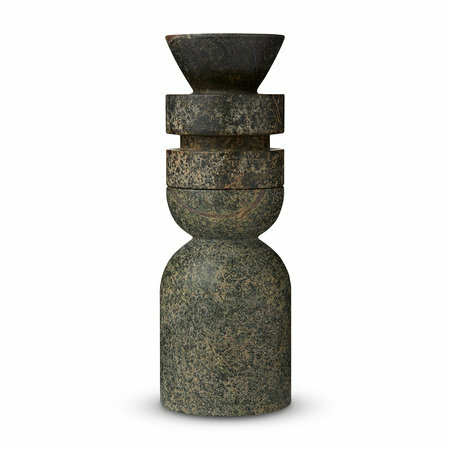 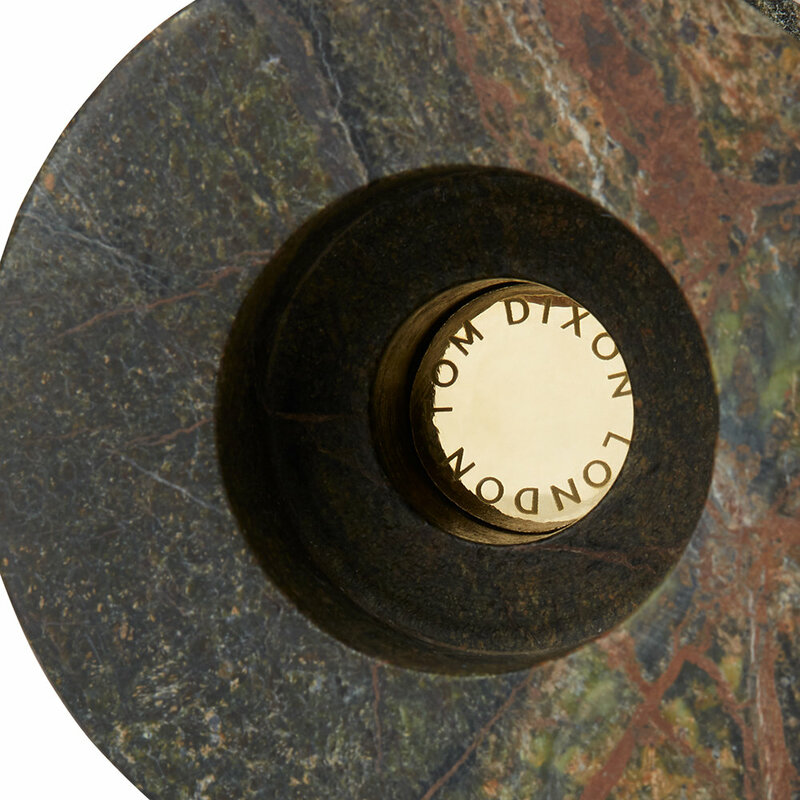 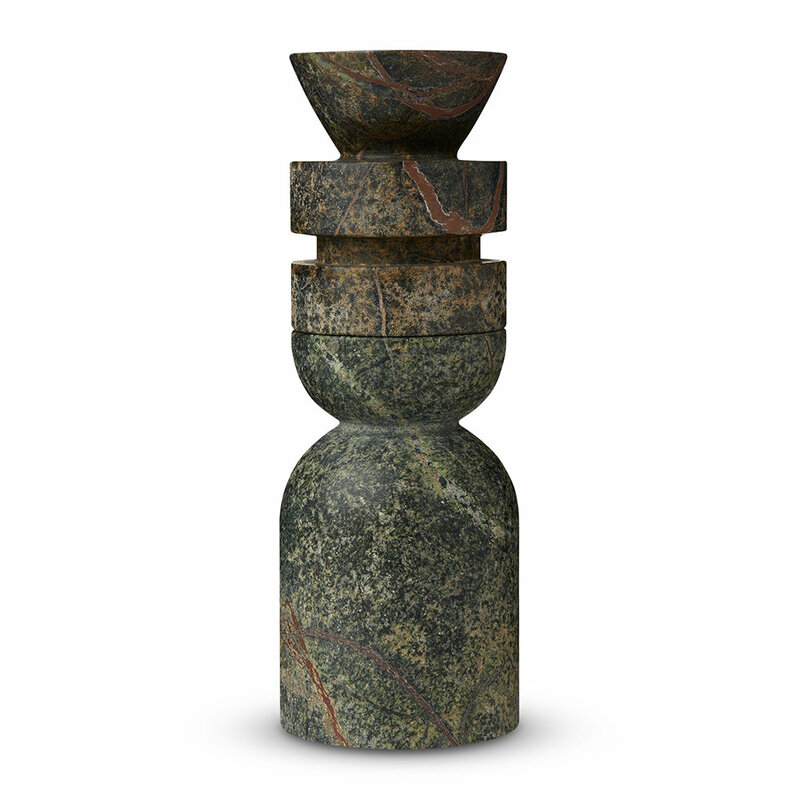 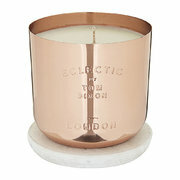 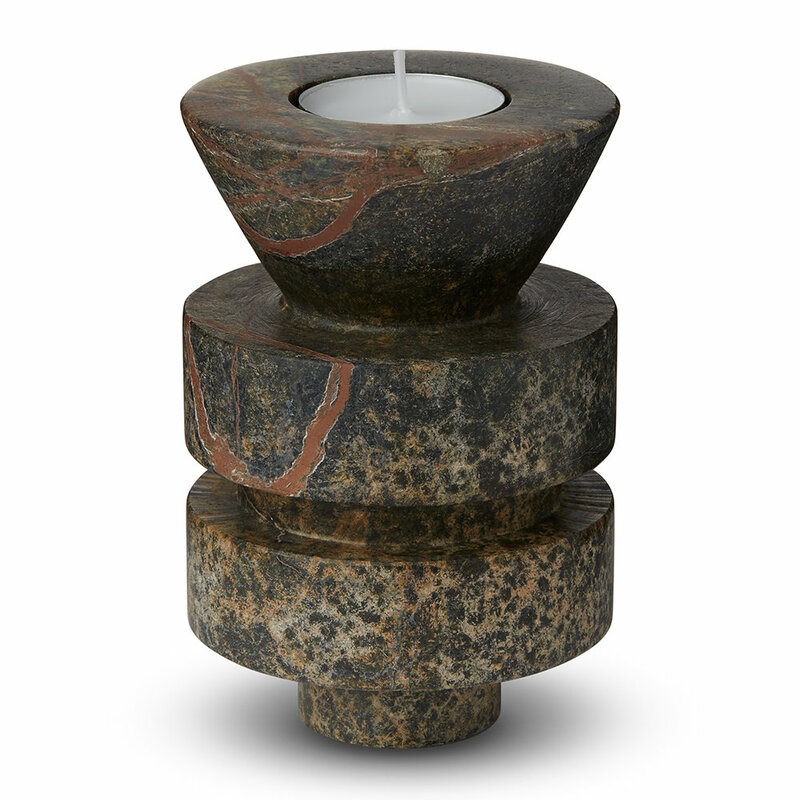 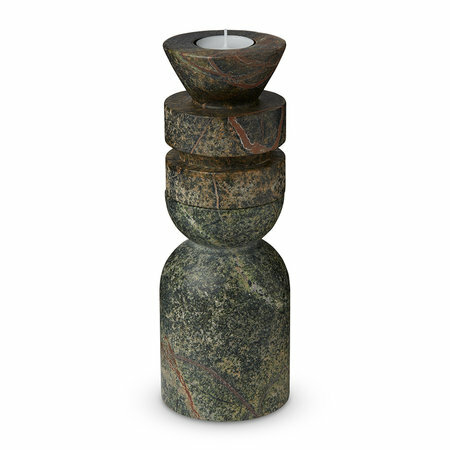 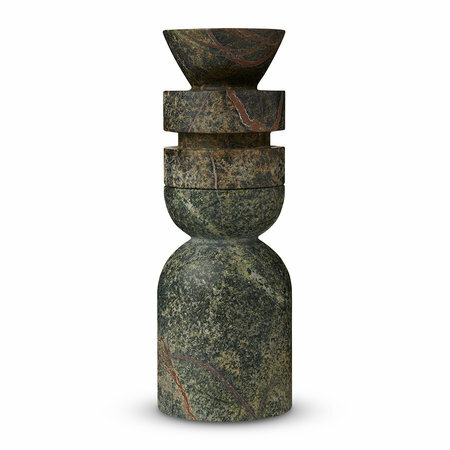 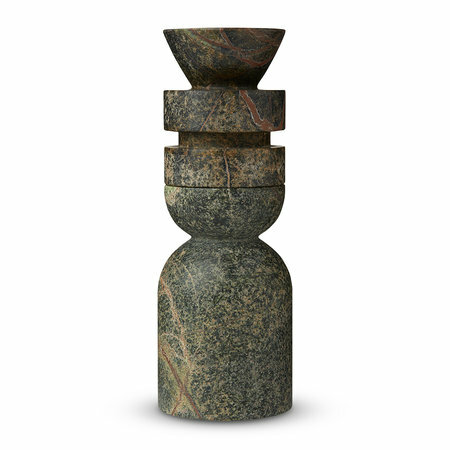 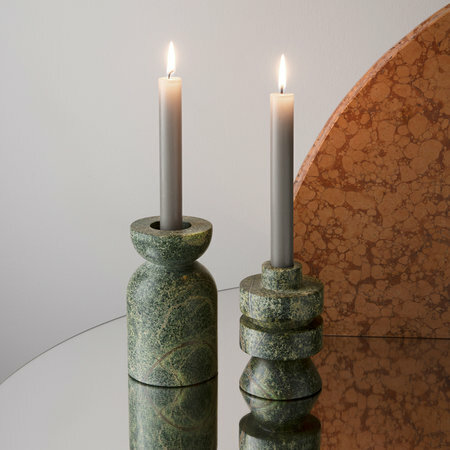 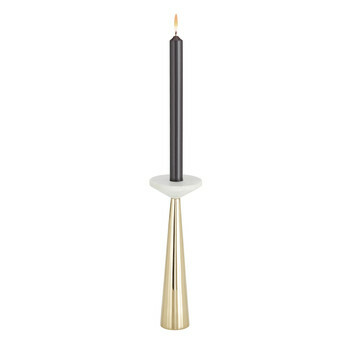 Add architectural flair to the home with this set of 2 Rock stacking candle holders from Tom Dixon. 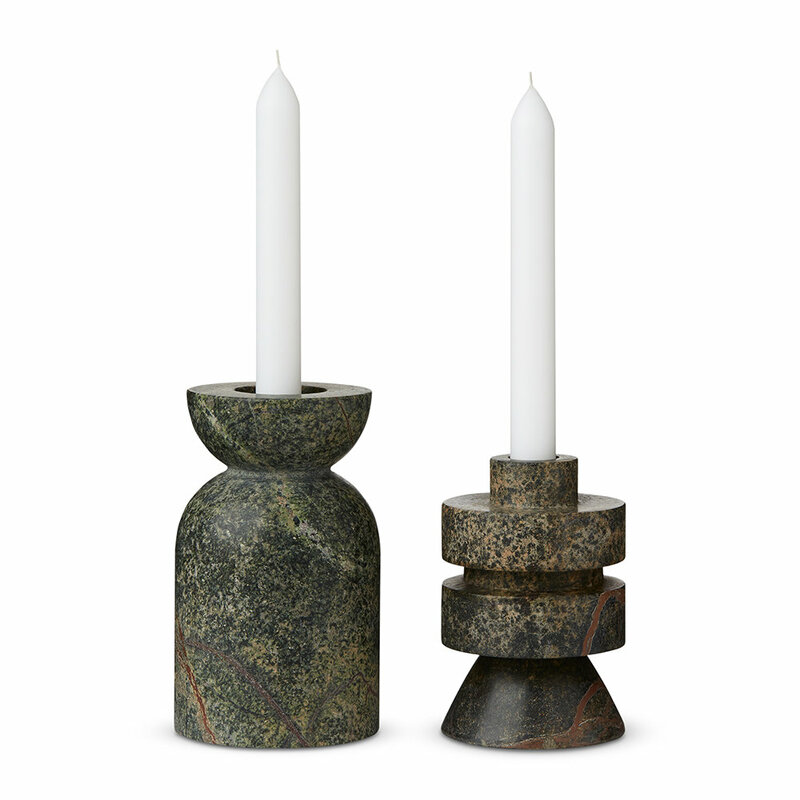 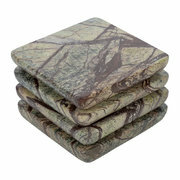 Striking displayed separately or stacked together, these candle holders have a chunky building block feel. 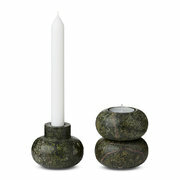 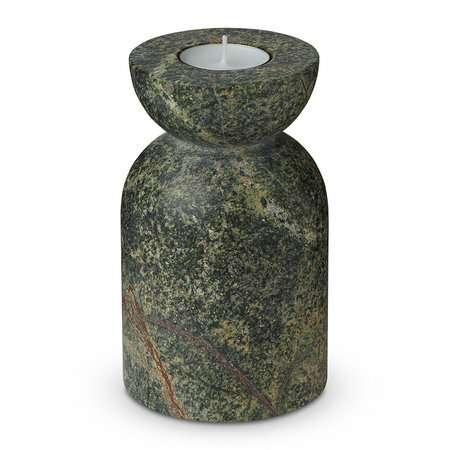 Made from natural marble, they are in a rich forest green hue and each piece has been hand carved on a traditional lathe. 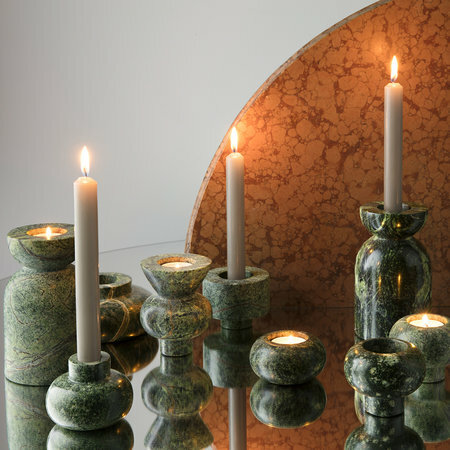 Perfect for holding tealights for a subtle glow or taper candles for a more dramatic atmosphere, they are part of the Rock collection which is an interactive, playful and stackable sculptural range which acts as architecture for your dining table.